My daughter asked if she could go to the place ‘where Beatrix Potter got her inspiration’, so we booked a lovely little cottage in Keswick, located by Derwentwater, for half term. I have only been to a couple of places in The Lake District fleetingly, so didn’t know the area at all. I can honestly say I was taken aback by how gorgeous it is. 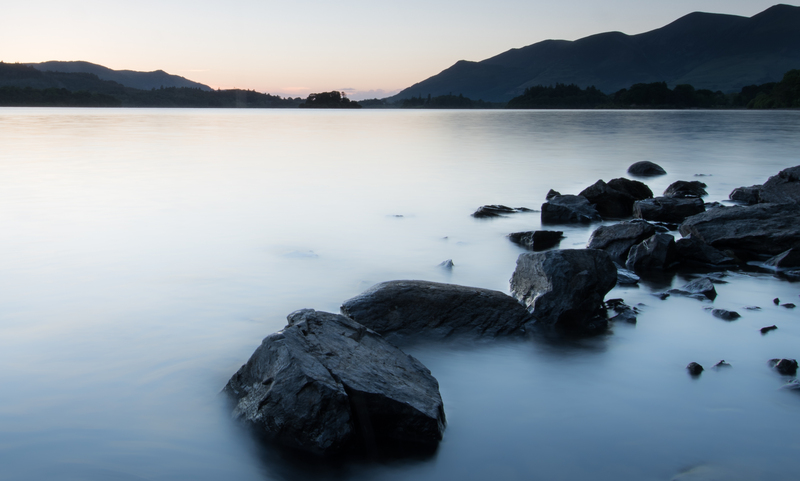 The lakes, the hills, the light moving and changing across the landscape constantly…. it was heaven! The following evening, I found a super little jetty at Ashness – a popular spot for landscape photographers, and I can see why. What an amazing view across Derwentwater and the hills. I will definitely be going back – I think I may have fallen a little in love with the place.